Sometimes all I feel like is a piece of cake. 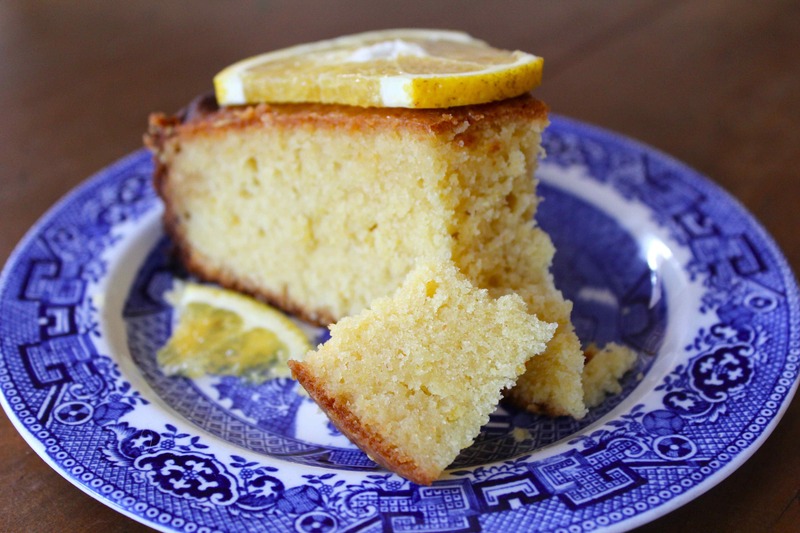 Simple and warm, unadorned by icing or fancy flavours. There are times for extravagant chocolate layer cakes, rich, fruity cheesecakes and ultra chocolatey brownies. And there are times for cakes like this. Warm, citrusy, crumbly. 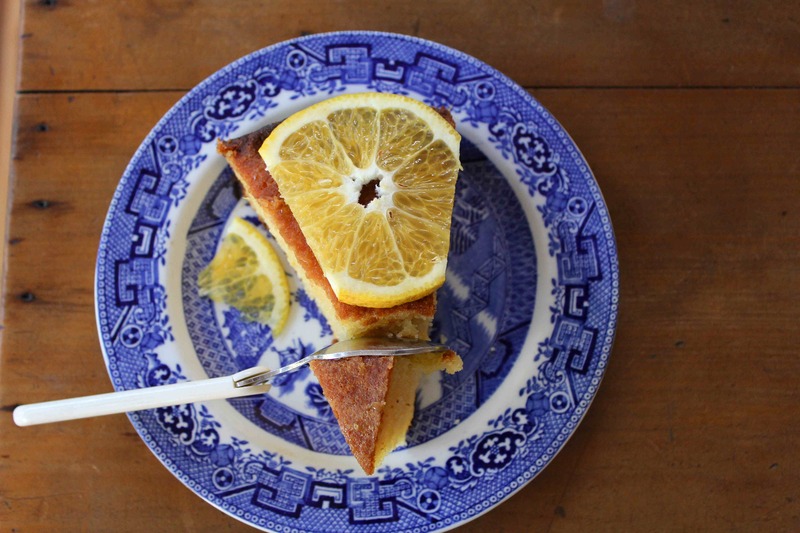 This orange cake is a version of the clementine cake in Jerusalem. If you haven’t read this book, I highly recommend you do. As a vegetarian I often find Middle Eastern food to be a great option but I’ve never read so many amazing vegetable and salad recipes as I have in this book. This is the type of cake for Tuesday mornings. Eat it with a warm mug of tea. Eat it for breakfast, for a snack. 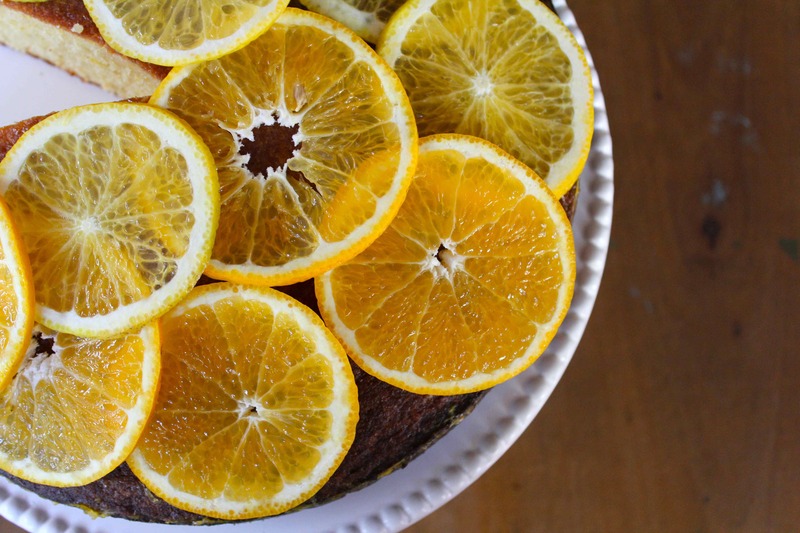 Eat it because the air is getting cold outside and the oranges right now are a deep russet gold. Preheat your oven to 180C or 350F, line a 23cm cake pan with butter and baking paper. In a mixer fitted with the paddle, gently combine your butter, zest, and 300g of sugar (so keep aside 4 tablespoons for the syrup) until just brought together. Add half of the almond meal mixture and stir again briefly to combine. Slowly incorporate each egg, one at a time and after this the rest of the almond meal. Briefly fold through the flour and salt and just bring together. Pour into your prepared pan and bake for 50-60 minutes, until domed and golden. 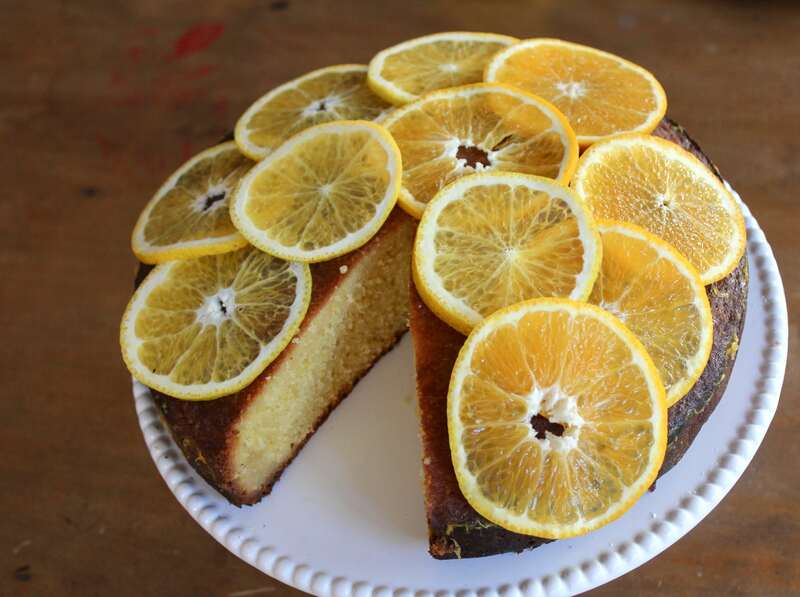 Just before the cake is baked, heat the orange juice and sugar until boiling and slightly reduced. Brush this over the hot cake as soon as you pull it out of the oven, still in its tin. 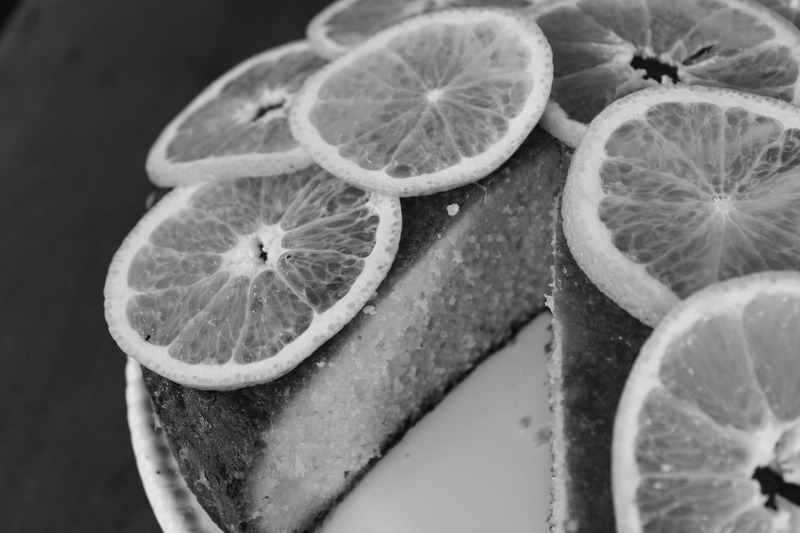 Once the cake has cooled completely take it out of its tin and top with the orange slices if using. (This is a nifty way to keep the cake moist if you aren’t eating it straight away, although I wouldn’t leave them on overnight or it may go soggy). Eat with your favourite tea cup. 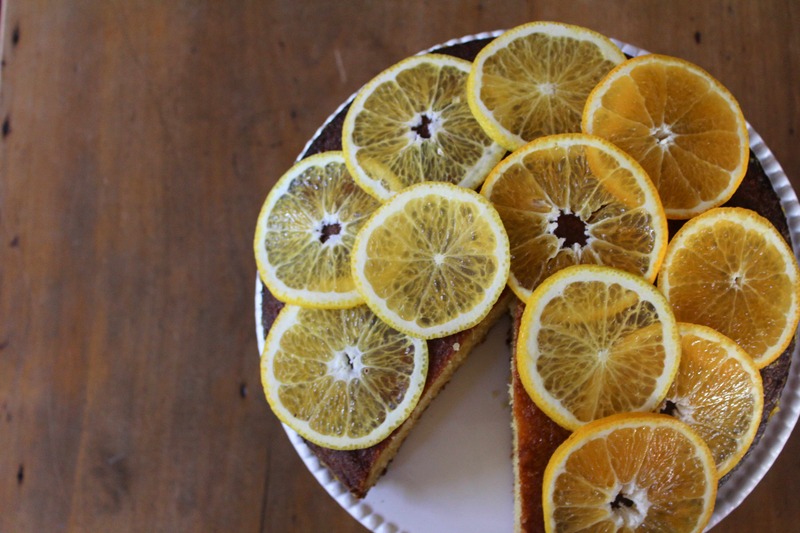 This entry was posted in Cakes, Simple Cakes and tagged Cake, Citrus, delicious, moist, Orange, Syrup. Bookmark the permalink. Hi there how can i make this gorgeous yummy recipe sugar free? What do i use instead?? Can it be possible? Hi Kate 🙂 I’d try replacing the sugar with honey if you mean refined sugar free. You could probably just switch one for the other and expect a slight change to the taste. I’ve done this and it worked well. Alternatively you could try maple syrup or even coconut sugar for a more natural alternative. I’ve never worked with artificial sweeteners so can’t advise on that sorry!